Home PowerShell SharePoint SharePoint 2010 SharePoint 2013 SharePoint 2016 Subsite How to Create a Subsite in SharePoint with PowerShell? 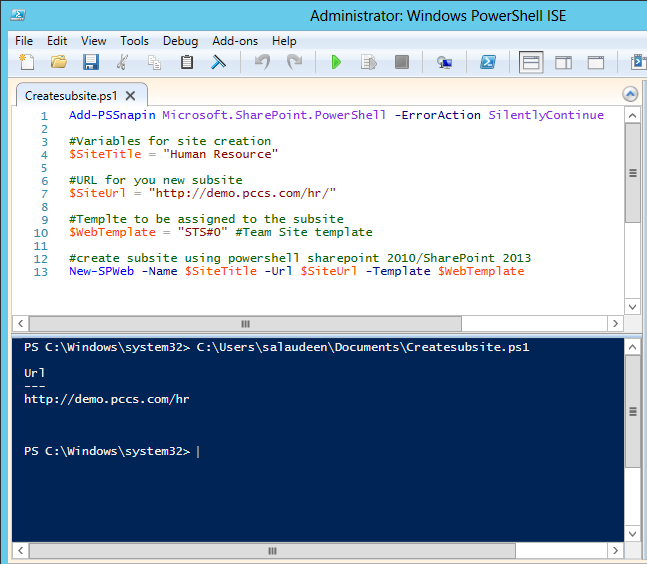 How to Create a Subsite in SharePoint with PowerShell? On successful creation of subsite, New-SPWeb cmdlet should return URL of the subsite as in the above screen. $SiteDescription ="Portal for Purchase Department Portal"